As a Charlotte Mason educator, nature study is very important to our homeschooling. Nature study is a wonderful gift to give even the youngest of children. 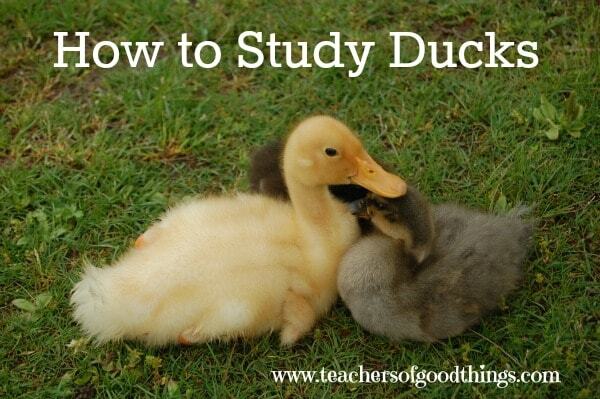 I would love to share how we study ducks in our homeschool, although you can use these tips on any family outing. We visit our local parks often – Some parks do not allow you to feed the ducks, so be sure of the rules before bringing your bread. If we are able to feed the ducks, we love to take bread store discounted bread, to feed the ducks. Observe their personalities – Ducks are fun animals to watch! If they have any idea that you brought them bread, they are all swarming to you for a piece of the bread. You will also notice that there are some more dominate ducks (selfish is another name for it) that do not care who isn't getting some and will push their way through the crowd to get their full. You will also be able to see the ducks who are shy or nervous of the ‘bullying' of the bolder ducks. Observe their feet – Ducks have webbed feet, perfect for swimming. Introducing flippers while swimming can give your children the feel for the what it is like to have webbed feet. 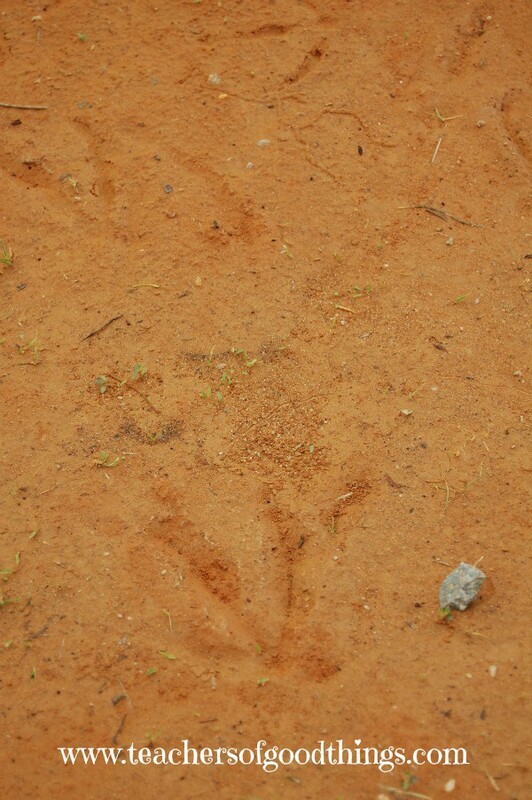 Looking at the tracks around the edges of the pond will help them get a feel of how their feet are different from other birds. Observe their Ducking in the water – Ducks are great at buoyancy while looking for food in the water. They will often turn upside down, with their tail in the water, to look for food on underneath them. 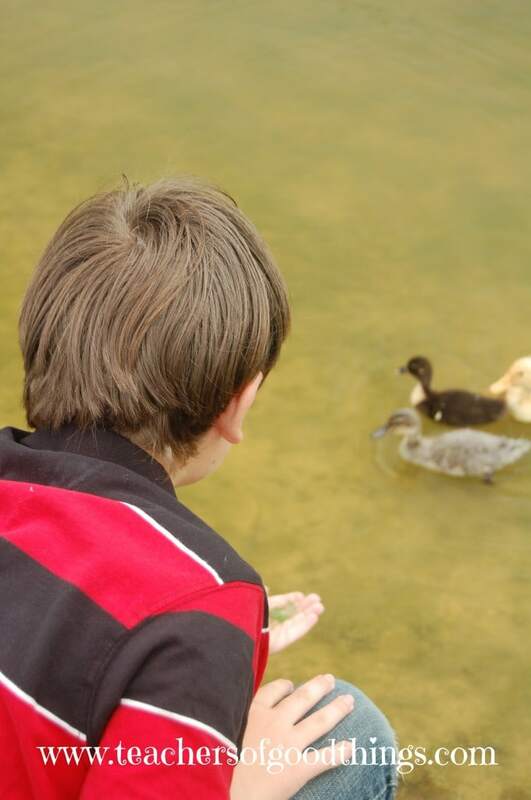 Observe their natural eating habits – Ducks eat the grass around the pond, insects and smaller organisms in the water. Observing them quickly will really be a good way to see how they eat and provide for themselves in the wild. We were enjoying watching what appeared to be three orphan ducks that have clustered together. They are great at catching the insects that fly right above the water, being able to speed off in one direction and stop quickly. We were so excited when one of the smallest ducks caught and ate a large dragonfly on its own. Learn more about the ducks you found at home – We love to learn the real names of all the ducks, so if we find a new one that we haven't identified yet, we come home and use our field guide to identify them. You may also like Study Nature in Spring that I wrote for The Homeschool Village.